From the moment legendary tenor Giuseppe Di Stefano sings his first notes in this rare appearance as Count Almaviva, you instantly know that this man is a genuine aristocrat and that he is so charming no one can deny him anything he wants. 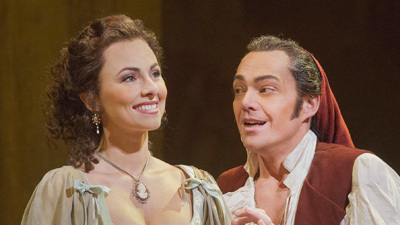 In this case, that’s Lily Pons as Rosina, who more than holds her own when it comes to charm and ravishing singing. 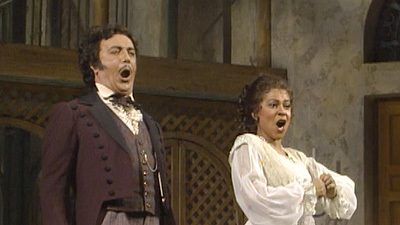 Add the great basso buffo Salvatore Baccaloni as Doctor Bartolo—the big impediment to the young lovers getting together—and Jerome Hines as Don Basilio, and you’ll understand all over again why The Barber of Seville is such an eternal favorite.